Just back from a week-long vacation to Jamaica with my two daughters, and friends. I’ll be posting about the awe-inspiring–on many levels–trip in the coming week, but thought it fitting to play a Jamaican hit song popular here in the U.S., all over Europe, and of course, in Jamaica. 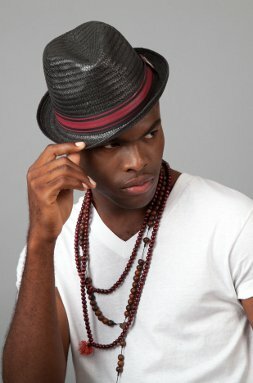 The song is Cheerleader by Jamaican artist, OMI. I first heard the song while driving in the car with my daughters right before the trip. Darla called out, “oh, it’s the Cheerleader song!” A few days later as we sat at the outdoor bar at the waterfront Luna Sea Inn in the small Jamaican town,Bluefields, (part of the Westmoreland parish), the personable bar manager, Norris, called out in the very same way Darla had, “…it’s the Cheerleader song..” Darla and her friend Sophia in their seats, and the inn staff milling around, started to sing and bop along to the upbeat tune. I learned from Jamaican newspaper, The Gleaner, (which the artwork I purchased by local artist Jah Calo, was wrapped in–more on Jah in my upcoming blog post) that Cheerleader first came out as a ska song in 2012, but didn’t gain it’s popularity until German music producer, Felix Jaehn, remixed the song, adding African drums, a saxophone interlude, and speeded up the tempo. Believe it or not, it’s the first Jamaican crossover hit to break the Billboard Hot 100 Top 10 since Sean Paul’s 2003 hit, Get Busy. Bob Marley and the Wailers, other Marley family members, and Jamaican reggae artists of conscious, ska, and dancehall music have entered the Billboard Top 100 charts, and/or have held a big place in fan’s hearts over the years, but as far as commercial, crossover success, it’s been a long time coming. Jamaicans are proud of their fellow artist, and fans the world over are getting to better know the music of OMI because of Cheerleader. Hello, there, Wendy Jane, my so, so very dearly special and dearest, preciously sweet white sister who you are For Always so, so very much! Sister, I absolutely loved this cool and fun-filled blog post article of yours, Wendy Jane!!!!!!! Sisterfriend, once again you have provided very cool, cheerful, and uplifting music for me and your other very grateful and appreciative readers by this very fine and excellent contribution by OMI with Cheerleader! What a great song and great singing, trumpet playing, drum beating, and in fact all of the great musical instrumentation was absolutely fantastically fantabulous!!!!!! I loved what I think I heard was the electric piano-it was just so cool and great! This song is very cheerful and uplifting with its grand upbeat quality! I loved both videos, especially more so the first one, Wendy Jane, with the scenic views of the azure blue sky dotted with pretty and puffy white clouds and the brilliant sun shining radiantly, along with the nice hot sand and beach rocks alongside the perfectly blue water, sister!!!!!! My friend, I loved this and you have once again made my day even better and brighter with this great contribution of yours of this offering from OMI of Cheerleader, Wendy Jane!!!!!! I really thoroughly enjoyed this, my friend who you are For Always so, so very much, Wendy Jane!!!!!! Wendy Jane, I am just so very glad, happy, and thrilled that you and your girls and the others were able to take this spectacular and fun trip!!!!!! What great fun and enjoyable pleasure this must have been for all of you, sister!!!!!! What great news this has been hearing all about your astoundingly remarkable trip, sisterfriend!!!!!!! Wendy Jane, I thank-you so, so very much for adding to my day even being better and brighter with this precious gift and a blessing of this stupendous blog post article of yours and musical contribution by OMI of Cheerleader!!!!!! Please have a superbly super Sunday, and a wondrously wonderful week coming up next week, my precious friend!!!!!!!! Thank-you so!!!!!!! !